While extensive literature exists about the effects of drugs on the fetus, there has been a paucity of information about the mother herself. Through interviews with 120 pregnant or recently delivered drug-using women, Sheigla Murphy and Marsha Rosenbaum fill this gap with an examination of how pregnant addicts make choices about drug use, pregnancy, and prenatal care. To combat the stereotype of the negligent--and even abusive--pregnant drug user, the authors seek to understand the feelings and motivations of the women themselves. How do they decide whether or not to terminate their pregnancy? What options are available to them if they choose to continue the pregnancy but kick the habit? Murphy and Rosenbaum address these issues as well as the policy implications of their findings. "Research-based but intensely personal...You will be touched by the poignant descriptions about the real lives of pregnant women on drugs. ...Pertinent reading for reseachers, clinicians, and all Americans." "A powerful refutation of the media-hype stereotypes of pregnant drug users as selfish and unfeeling, Pregnant Women on Drugs shows the extent to which many drug-using women develop the motivation to achieve their dual goals of improving their children's health and retaining maternal custody." "Touching and informative. ...Drug-addicted women who have either been ignored or reviled are finally given voice to tell their own stories. Their sad, true, and quintessentially human experiences provide persuasive arguments for compassion and supportive approaches to the problems of substance abuse and pregnancy." 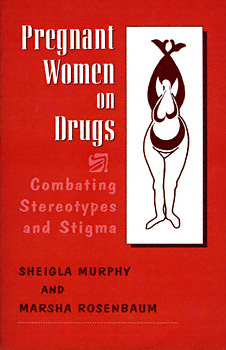 Sheigla Murphy is a medical sociologist at the Institute for Scientific Analysis. The study findings reported were funded by the National Institute on Drug Abuse. Marsha Rosenbaum is also a medical sociologist and the director of The Lindesmith Center West, San Francisco.